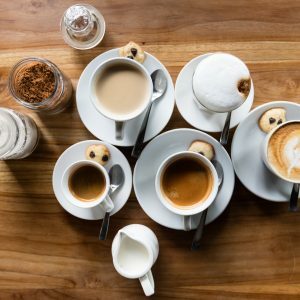 Tips and tricks to drinking better coffee, directly to your inbox. Some of the links contained in this post are Affiliate Links. If you click through the link and make a purchase we get paid a little (At no extra cost to you). This helps us keep the lights on and is greatly appreciated, but definitely not required. Coffee comes from the roasted seeds of the berries of the Coffea plant. The flavors are infused into the beans during the roasting process. Those flavors and oils are then released when grinding coffee. To get the most flavor out of your coffee, it needs to be brewed immediately after being ground. You can’t do that if it’s been ground before you purchase it. Obviously you could take this a step further and home roast the coffee beans, but for a lot of people that’s a little excessive. Getting whole bean coffee preserves the oils and aromas until right before you’re ready to brew. That way you get a more rich flavorful coffee. There are typically two types of grinders which you’ve probably heard of: Blade vs Burr. A blade grinder is probably what you think of when you first think “coffee grinder”. They have a flat sharp blade at the bottom, similar to a blender. You load the beans in the top and chop them to bits with the help of gravity. 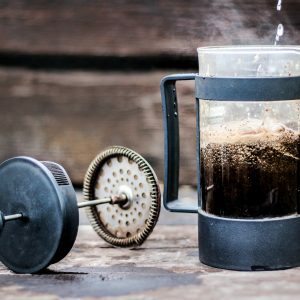 A burr grinder is what you would most likely find stashed away at your grandmother’s house (Although, modern versions do exist). Essentially it’s just two abrasive metal cylinders that crush the coffee to small little bits. They’re very similar to what you’d find in the spice cabinet (Think Pepper Corn Grinder). They are preferred for French Press and Pour Over coffee for their ability to get a consistent even grind when you want a more coarse grind. It’s much harder to get an even coarse grind with a blade grinder. With the Burr, the grinders can be spaced further apart to allow larger chunks to fall through. You could go the super old school route for grinding coffee and bust out your Mortar & Pestle. Although probably not the most efficient coffee grinder. If you want a more rustic authentic feel to your coffee making routine, highly recommend. Really. If you have nothing else but a hammer (or a rolling pin), coffee beans, and a ziploc bag, just throw your beans in the bag and “beat the devil out of it”. Get creative if you have to. Use a frying pan handle or a wooden soled shoe. Anything is better than no coffee. Just be careful not to break the counter top or you’ll have bigger problems to deal with than caffeine withdrawal. Obviously, you’re going to want to invest in a grinder that will fit your needs. If you care enough to grind your coffee, but not really how consistent the grind is (regular drip coffee) then you’ll probably just need a regular blade grinder which can be had for as little as $20. If you’re in the more “Advanced” Coffee Drinkers club (pour over, french press) then you’ll probably want to invest in a good electric Burr Grinder. 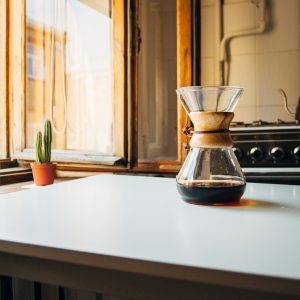 With these brewing methods, the consistency of the grind matters more so than with just regular drip coffee. It’s harder to get an even coarse grind that’s not going to filter up through the screen in the french press. At the end of the day, whichever grinding method you chose, you’re already miles ahead of the people who buy pre-ground coffee. 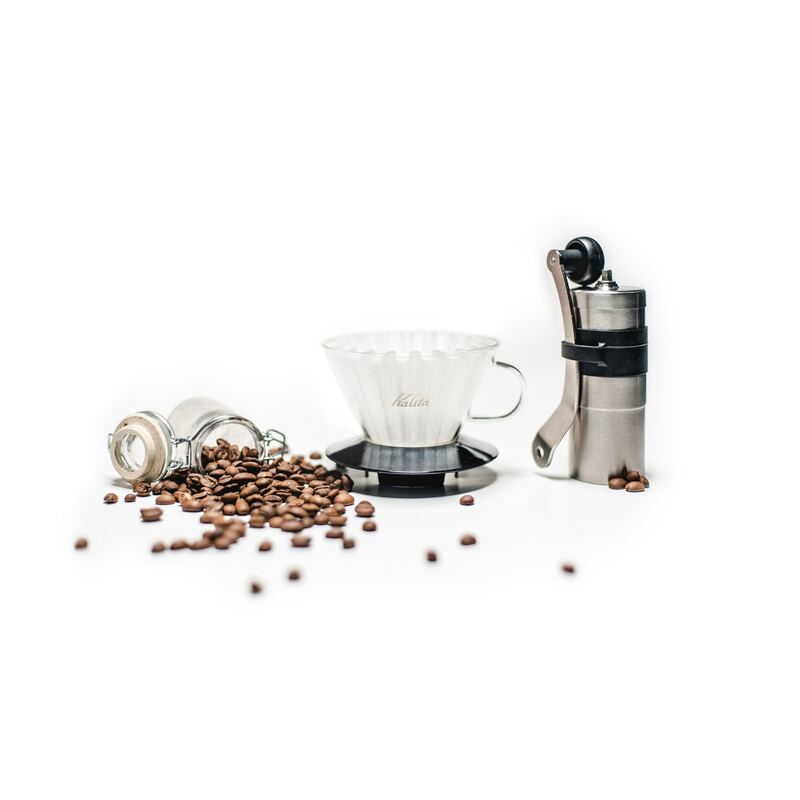 Get ready for better flavors, more aromas, and an overall better cup of coffee. Coffee Runs In Our Veins. 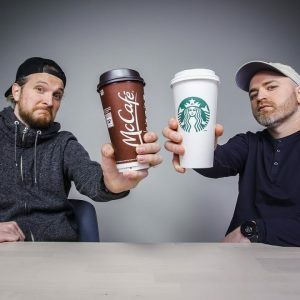 Iced Coffee Vs Cold Brew – What’s The Difference?